Get to Know Your Insurance Plan! And call us if you have any questions. 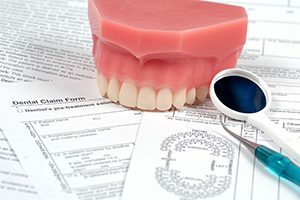 Dental insurance comes in many varieties, so every patient should examine their contract, read all the terms carefully, and see how it shapes up! If you have any questions, please don’t hesitate to call our office at (518) 273-0089. Insurance companies are businesses, here to make a profit. So, we appreciate your understanding if there is any holdup as we process your claim. Remember that we’re on your team, and we always do our best to work within your plan and maximize your benefits. Most policies opt to pay for the least costly procedures, regardless of the dentist’s best recommendation. And there’s no insurance plan that covers all aspects of dentistry, so it’s important to balance your needs when choosing a plan. You must closely look at what’s covered and what’s not. Find out what options your employer may offer. Ask questions, have a conversation. It’s possible (believe it or not) to change the personnel director’s mind about dental insurance.